SIMPLE CapTel is easy to use. It works the same way you'd use any other telephone. If you can't hear what someone says, simply read the captions. 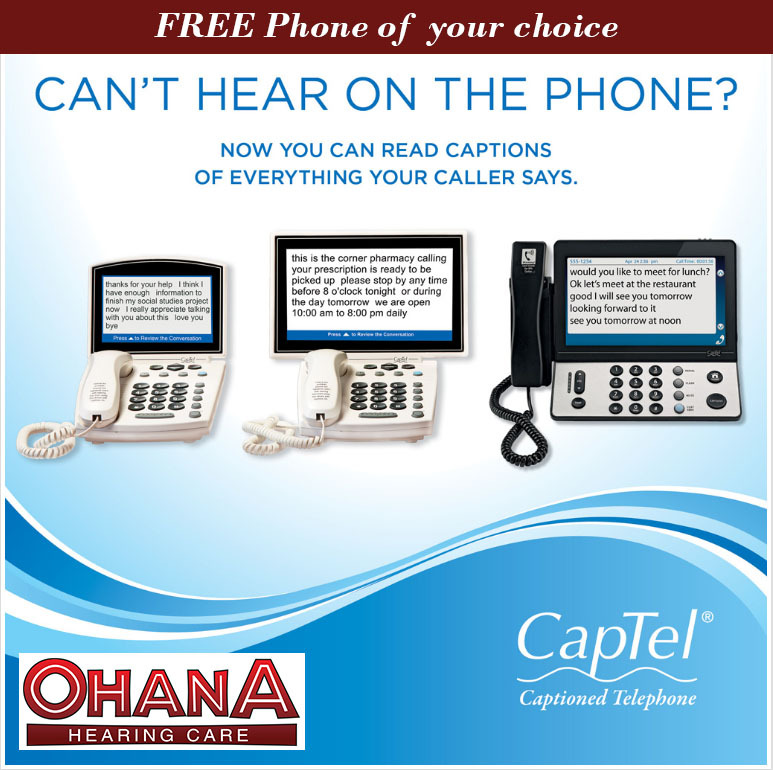 FREE SERVICE IN HAWAII CapTel works with a free Captioning Service to transcribe everything the other person says into written words. There are no monthly fees, no service agreements. Your monthly phone bill doesn't change. SET UP A Captel installation specialist will install the phone and teach you how to use its many features. There is no charge for this service. Questions? Just click "contact us".